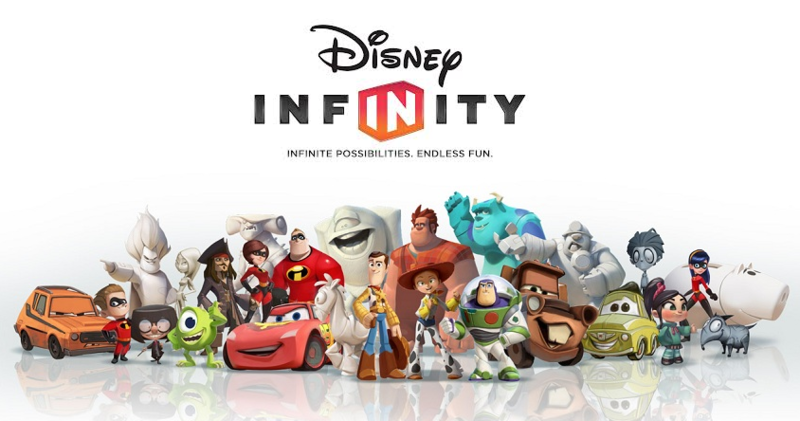 Disney Infinity is a virtual playground, combining your favorite Disney characters as physical toys with the virtual game world on screen. 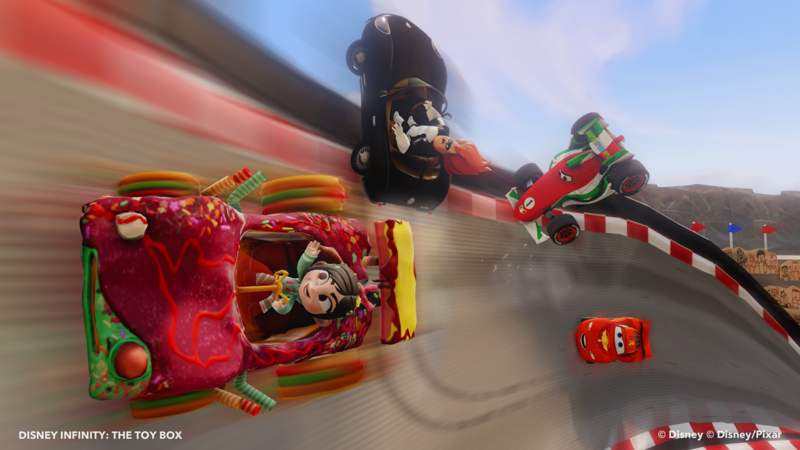 It uses collectible figurines, including characters from Walt Disney and Pixar Studios, transporting them into the game, allowing Lightning McQueen from Cars and Mike Wazowski from Monsters University to take on an adventure together! 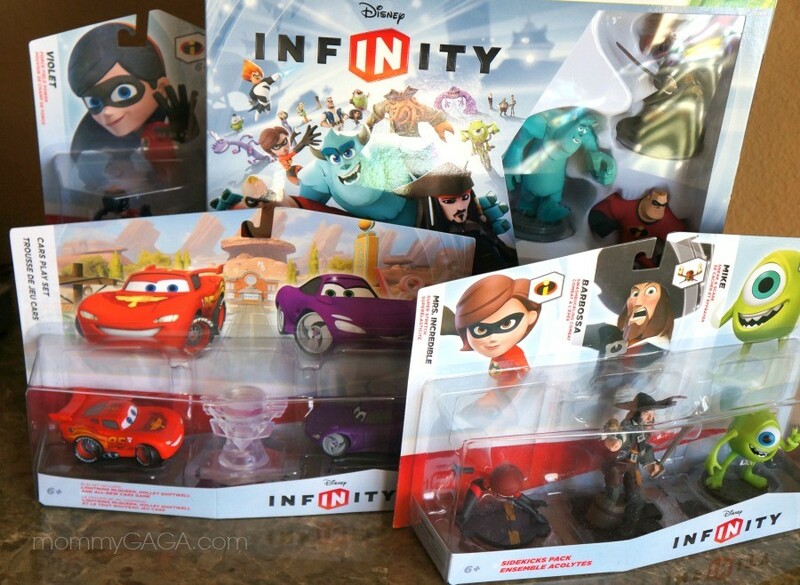 The game comes with the Disney Infinity base and a starter pack of figurines. Each figurine has a flat disc on the bottom, which fits into a spot on the Infinity base. Once it connects, it places the character into the game on screen. Character figures include those from The Incredibles, Monsters University, Cars, Pirates of The Caribbean, and more to come.